Our “Premium Facials” combine the latest skin care technology with the most advanced “cosmeceuticals” and natural plant extracts for extraordinarily visible results! The proven combination of LED light, heat and energy works powerfully to trick the skin into producing more face-firming collagen while safely targeting unsightly brown spots and small capillaries caused by damaging environmental factors. The result is a visibly tighter and more even overall complexion with very little downtime. (1hr 15min) $300 A series of 6 is recommended for maximum results. Improve the texture and look of your skin with this deep exfoliating treatment. 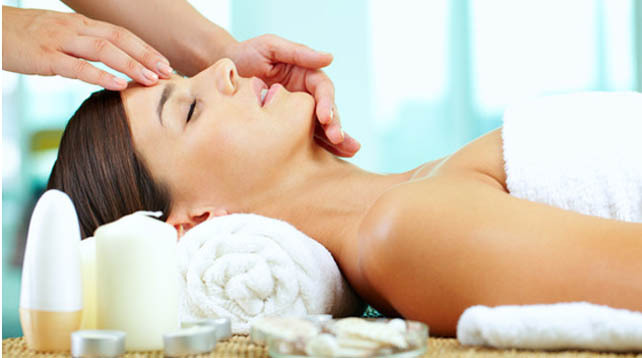 Steam is applied, massage and extractions are performed and a soothing mask completes this results-oriented facial. You will see noticeable improvement with little or no recovery time. This facial sets a new standard in skin care. Recommended for all skin types. This facial provides intense cleaning, a deeper, more effective absorption of specialized products, and stimulation of cell metabolism to utilize essential nutrients; all with little or no trauma to the skin. The Ultrasonic Facial is gentle and relaxing and can treat a number of skin conditions. An excellent alternative to traditional facials. Safe for sensitive or acneic skin as well. Restore even the driest of skins to a comfortable, supple state by using proven humectants that won’t clog the pores. Skin is treated with various natural moisture magnets such as aloe and hyaluronic acid, which help attract water molecules from the air to the skin. A warm paraffin blanket is applied to the face to help plump up depleted cells, leaving your skin feeling totally quenched. Especially effective for mature, dry skin. Soften fine lines and reverse damage caused by the sun through the benefit of concentrated Vitamin C. This powerful anti-oxidant counteracts the aging process. The result is a tighter and brighter complexion. Recommended for aging and sun damaged skin. Combat the blackheads and blemishes with a holistic approach which combines the exfoliating power of salycilic acid, a beta-hydroxy acid known for its effectiveness in fighting acne and a relaxing, de=stressing treatment. During this facial, extractions are performed and high-frequency treatment helps “zap” away blemishes and promotes healing. Recommended for skin prone to clogging, blackheads or acneic skin. This facial focuses on the needs of your sensitive skin through the benefit of aloe vera gel, azulene, green tea and chamomile; all known for their anti-inflammatory qualities. Lavender essential oil is massaged into the skin followed by a cool azulene mask. Safe for skin that gets red easily, those with rosacea, or sensitivity to products. When you are pressed for time this express version of the Ultrasonic Facial will provide deep cleaning and penetration of products to make a visible different in the look and feel of your skin. (Please note, this facial does not include therapeutic massage, heated hand mitts or finishing mask). Nicholas Christies understands that your schedule is demanding. Now you can give your skin the boost it needs without sacrificing valuable time. 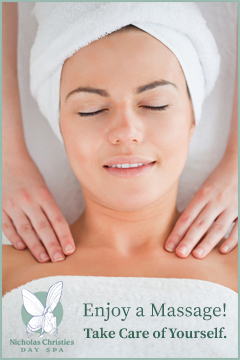 Quick and customized, we’ll exfoliate, lightly massage your skin under steam, and finish with the appropriate mask. You’re ready to go in just 30 minutes! Recommended for all skin types. The Time Saver is a great maintenance routine when scheduled alternately with a full facial. This facial addresses the needs of adolescent skin by focusing on cleansing, reducing inflammation and developing a healthy skin care regime. Extractions are performed and high-frequency treatment helps “zap” away blemishes to promote healing. 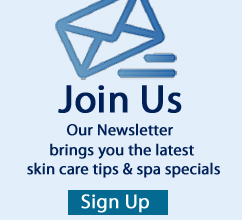 Includes recommendations for products and at-home skin care routine. Customized for men, this treatment begins with a thorough cleansing and exfoliation. Then a seaweed mask promotes detoxification of your cells is applied. Steam is used to loosen and remove clogged pores and ingrown hairs. New skin cell production and healthier looking skin is promoted by a finishing aloe vera gel mask.